The #1 Easy Home Recording Blueprint Method has been created by major label artist, Owen Critchley to give songwriters - at any stage - a simple to follow, step by step method to learn everything they need to know to be able to make their own pro-quality recordings of their songs, simpler, faster and cheaper than they ever thought possible - right at home. The Easy Home Recording Blueprint Method is like having your own producer showing you - using your own computer and almost no extra equipment - how to make jaw-dropping, attention-grabbing records. "Owen! I'm now officially addicted to your home recording method. I didn't think I could learn (or even afford) to record my songs properly... but I followed your simple method and recorded four of my songs at home. I had a little listening party and played the songs. The look on everyone's faces when they heard my recordings of my songs, and the reaction I got was an amazing feeling. I'm now recording more of my songs and I can't wait to see how far my songs, and I, can go." How Will The Easy Home Recording Blueprint Method Help You? 2 cables and almost no extra equipment. By following The Easy Home Recording Blueprint Method, you'll know that you'll soon be able to make your songs sound they way they deserve to sound, because you'll be following the exact method that major label producer/rec. artist Owen Critchley uses every day to record songs for film, tv and worldwide release. This is exactly why The Blueprint is being called "the simple, perfect, method." Find out what really makes various sounds, instruments, backing tracks and vocals work well together. No more puzzling over what you are hearing and making random, "hope for the best" adjustments that lead to a muddy mix. The Easy Home Recording Blueprint Method shows you the exact adjustments to make to give your recorded sounds, instruments and vocals the space each of them needs to be heard. 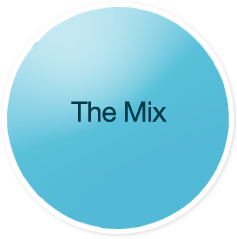 You will gain the ability to confidently create huge, clear, pro-quality mixes. Whether it's getting mile-high sound for vocals and acoustic instruments using just a single mic, or creating tight, beefy grooves, or lush, wide backing tracks, the Blueprint Method has totally demystified and simplified each step to making a great sounding record. The time between beginning a new recording and completing its mix is drastically reduced. In other words, the entire process becomes much faster. When you achieve your goals faster, recording becomes enjoyable and creative like it's supposed to be. When making a record is faster and more enjoyable, you record more songs. When you record more songs, you open the door to many more opportunities and get heard by many more people. Powerful production tricks that are unique to The Blueprint Method. These simple production tricks, right from Owen's playbook, are what make songs truly memorable and create an emotional connection with listeners that lasts. These are the techniques that producers use to transform a recording that someone simply hears into something they listen to - again and again. Owen adds new producer's tips and tricks all the time to The Blueprint and you'll have free lifetime access to all these updates and additions to your Blueprint. "Very cool idea in the new video you added to The Blueprint yesterday. So simple too. I can't wait to try it. Thanks!" "You're really awesome Owen, thanks so much for these helpful extras." "Owen: Lovely work on the new video you just added... Excellent!! Thanks so much." Songwriters and musicians using The Easy Home Recording Blueprint Method have found it is their safe place ask, learn and grow and always receive the answers and the respect they deserve. Sometimes, they just want feedback and have another set of ears to listen to something they've recorded. "Thanks for the help and the awesome info, Owen!" "Owen, you surely take the prize for promptness and helpfulness! Many thanks!" Thanks for your reply, man! Much appreciated! 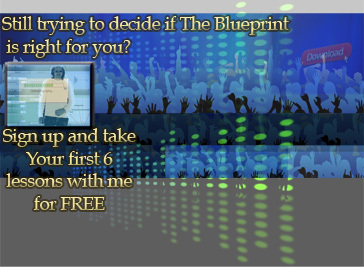 I'm so looking forward to joining you and the other Blueprint folks on this journey!" "You are awesome. Thank you so much. "Owen, your method has given me the ability to bring my songs to life. What a feeling. Thank you!" "Dear Owen, I'm writing to tell you that I'm completely amazed by your method. THANKS again... The world would be a better place, if there was more people just like you, who are able to share their vision and help others to achieve their dreams... Greetings from Rio." "Hi Owen. Thank you for this! Can't wait to see the new step by step videos. 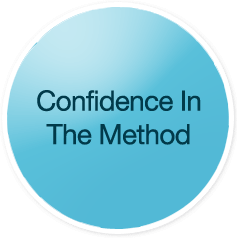 Your method works just like you say it will." "Owen Critchley has given me so many great tips about how to improve my recordings. His recording techniques are easy to do and really add a professional sound to my tracks. Owen is always available to answer my questions and he's been extremely helpful. I highly recommend his Blueprint Recording Method." 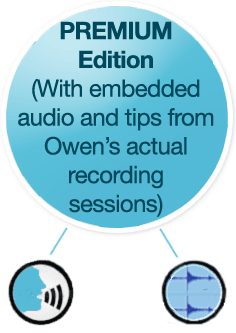 ""Owen, I just purchased the Easy Home Recording Blueprint yesterday and am almost finished reading it. I am so excited to get started!" As a Blueprint Method recording artist, you'll be following the exact same, amazingly simple method Owen Critchley uses every day. Recordings made using The Easy Home Recording Blueprint Method have even won Billboard awards... three times. Songwriters and musicians have gathered thousands of fans based around the songs and music they are now able to record using The Easy Home Recording Blueprint Method. Blueprint Method artists are able to play their recordings for anyone and are able to submit them to any opportunity, with total confidence. "Wait a minute, let me get this straight... Owen, you recorded two versions of this song. One of the versions was recorded at the studio we sent you to, and one you recorded at home? And you're telling me that I just chose the one you recorded at home? Holy &*@&! How the heck did you manage that?!" "Owen, the tunes sound great. Sounds like someone really knows what they are doing. Mind me asking where you recorded them?" "In recognition of your recording, 'Before the Waves Come.' This honor demonstrates the talent and dedication it takes to write and record a 'Hit Song.'" Learn the exact steps and simple techniques to "capture" each sound you record so it is healthy and huge when it arrives on its recorded track. "Capturing (recording) a sound - whether it is an instrument, vocal or whatever - so it is a beautiful, room-filling recording, is not rocket science." You see, "sound" - no matter what type of sound - is not some kind of wild beast that needs to be tamed. The truth is, "sound" actually doesn't require much for you to transform it into a huge, room-filling recording. You simply won't need complicated equipment or tons of studio toys to get clear, floor to ceiling, pro sound. No matter what you hear out there, it's not a maze of complicated equipment that makes great sounding recordings. What makes a great sounding recording is having a true understanding of sound and how various sounds behave together. The Blueprint provides that understanding and armed with it, you will be able to record simply - and get the sound every songwriter wants for their songs. Available exclusively on this website, The Easy Home Recording Blueprint Method system is my new, multimedia home training, designed to give you the exact home recording method I use every day to record songs and music for film, tv, cd release, major and indie labels, producing other artists, licensing projects etc. The Blueprint is, well... put it this way: it’s like being with me at my studio learning exactly how I record and mix – but from the comfort of home. The Easy Home Recording Blueprint guide is divided into 10 sections covering all areas of its home recording method. Taking you from the moment you first plug in, all the way through to your finished mix. The Blueprint is designed to stop the madness that too many indie songwriters and musicians get caught up in of buying layer upon layer of studio toys, equipment, software etc, and give them a simple, affordable and proven path to make studio-quality recordings at home. The Blueprint is laid out to make sure that any songwriter or musician is able to take their ability to record their songs and music to the next level. Over 20 step-by-step videos, designed so you can see everything first hand and give you full control over your own recordings and show you exactly how to perform each and every recording, editing, mixing technique. 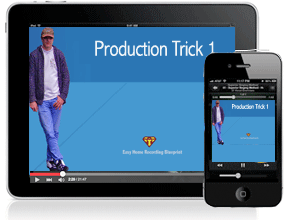 The new production tricks video series. These simple-to-do, but very effective production tricks are extremely popular with Blueprint users. I've added them to the Blueprint so you can see exactly the things that producers do to give songs "that certain something" - the kinds of little layers, almost hidden details that make a good recording sound like a "record." Like everything in The Blueprint, these are techniques and tricks you can start using right away. 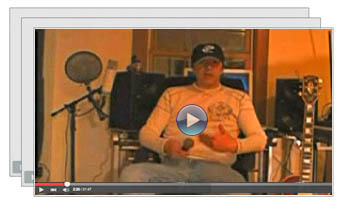 Easy Home Recording Blueprint free lifetime updates and real-time extras. As soon as you download your Blueprint, you'll get signed up to The Blueprint extras email where you'll receive your free lifetime updates, extras and notice of new additions and videos to your Blueprint, and special Blueprint opportunities for members. In the member's videos, you'll see and hear The Easy Home Recording Blueprint method in action, step-by-step with the actual recording of a song Owen was asked to produce for a short film and released worldwide as a single. These production tricks are a new and unique feature of The Easy Home Recording Blueprint that have become very popular with members of The Blueprint home recording community. Having access to these simple-to-do, but powerful production tricks means that with your Blueprint you'll not only quickly learn to make clear, room-filling recordings, but you'll be able to give your songs that "it" factor that makes them stand up and stand out and make an impression on listeners. You'll be able to play your songs for anyone with total confidence - and that's a great feeling. Major label and Billboard Award recording artist/producer, Owen Critchley, will guide you through his entire Easy Home Recording Blueprint Method so that you get every tip, lesson, and technique right from Owen. You’ll master every home recording technique faster and enjoy rapid results in your ability to make great sounding records. And, as your guide, he's always just an email away for any questions or even if you want another set of ears to listen to something you've recorded. Including the brand new step-by-step RAPID FAN-BUILDING SYSTEM. The game changer for indie songwriters all over the world. "The exact music marketing methods the world's most successful indie and unsigned songwriters are using right now. These are the secrets to getting your music in front of thousands of new listeners." Once Easy Home Recording Blueprint artists start making their great sounding recordings at home, they are going to want the world to hear them. 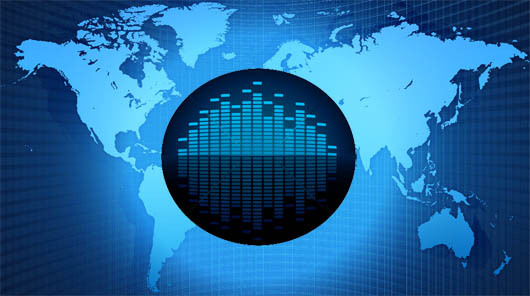 The Musician's Blueprint to Getting Heard By Thousands will show you exactly how to be found and heard by thousands of new fans and listeners. Follow the steps with 'The Musician's Blueprint to Getting Heard' and you WILL be found and heard... not by one or two people, but by thousands more new listeners." * Including the 500 fans in 5 Days real-time demonstration. This was achieved using the simple steps in the Musician's Blueprint to Getting Heard. * Learn exactly how to lead thousands of new listeners and new fans to you and your songs, and how to sell more music and how to build a real music career. * The Musician's Blueprint To Getting Heard is so popular that it is actually being sold separately on its own page here. But, because you've arrived here today, you will get the remarkable Musician's Blueprint To Getting Heard FREE with your copy of 'Easy Home Recording Blueprint'. * Please realize that this is a special offer: If you return to this page and free access to The Musician's Blueprint To Getting Heard has been removed, there's nothing I can do. 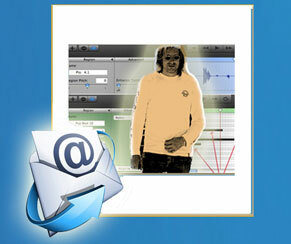 Direct email access to producer/recording artist Owen Critchley As soon as you get your copy of Easy Home Recording Blueprint you'll receive a special email address, just for Blueprint artists, where you can contact Owen. He'll be there, just an email away for any questions, tips or advice... or even if you just want another set of ears to listen to your recording. The Easy Home Recording Blueprint Method is the exact simple method Owen Critchley uses to record songs and music for film, tv, labels worldwide, producing and licensing songs to other artists etc. Today, he is sharing his Blueprint method. He has insisted his full method be accessible to every songwriter or musician so that all are able to benefit from this opportunity to learn easily, quickly and affordably how to turn their songs into great sounding records. And if you wanted personal recording and production training from Owen Critchley himself, you’d pay around $200 per hour. But because The Easy Home Recording Blueprint Method is a home training program, you'll be able to gain all the benefits of working one-on-one with a major label recording artist/producer using his Easy Home Recording Blueprint Method from the comfort of your home – for a fraction of the cost. You are one of my email subscribers! 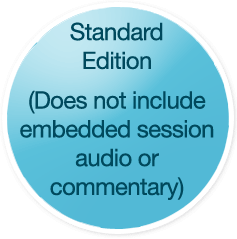 That means your price for the FULL Home Recording Blueprint PREMIUM Edition is actually $30.35 today. And The Blueprint Standard Edition (no embedded session audio and commentary) is just $43 (nope) ... $27.16 today. The Easy Home Recording Blueprint Method is designed to give you a massive shortcut to making your great records at home and making that future you pictured for your songs closer than you ever imagined. That’s the lowest price you’ll ever find for a proven, time-tested solution to unlocking the potential of your songs and as a recording artist. 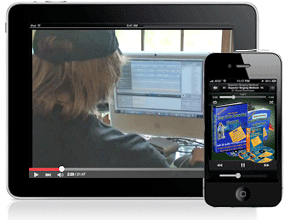 The Easy Home Recording Blueprint Method comes with a full 60 Day Money Back Guarantee. If for any reason you decide that the Easy Home Recording Blueprint Method program isn’t for you then just sent us an email and we’ll happily refund every penny. We are 100% confident that if you follow the Blueprint, you will see amazing results in the quality of your recordings and mixes. Owen's goal is for this to be a guaranteed gain for you no matter what you decide. But don’t just take our word for it. Thousands of other songwriters and musicians have already changed their recording futures with the Easy Home Recording Blueprint Method. Order today so you can get started right away! 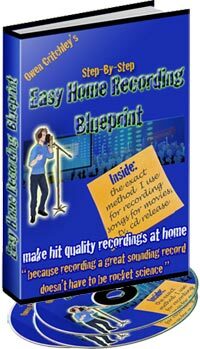 * The full Easy Home Recording Blueprint Method Guide: 10 sections with illustrations and examples. 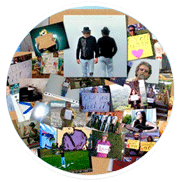 * Over 20 step-by-step videos: Watch every step as a song is recorded for worldwide release using The Blueprint Method. 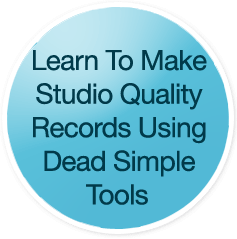 Follow and copy the simple steps to make your own great sounding records. * Unique, attention-grabbing producer's tricks to make your recordings stand out to listeners. * An unconditional 60-day money back guarantee. 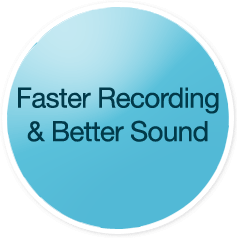 The information and video presentations on this page show you how you can start making professional quality home recordings right away - easier, faster and cheaper than you ever thought possible. This isn't a gadget or gimmick... this is the "simple, perfect method" of the best selling Easy Home Recording Blueprint: The step by step, copy-me-as-you-record method that eliminates your need for complicated and expensive recording software and equipment. The Easy Home Recording Blueprint method solves your most common and frustrating home recording problems by showing you exactly how to record clear, beautiful, room-filling sound so that your songs and music finally "stand up and stand out" from the crowd. Remember: Watch the first video on this page entirely, to receive your important bonuses - they're pretty amazing. What Are The Most Frequently Asked Questions About The Easy Home Recording Blueprint? Question: "Professional quality sound at home using such a simple setup? How is that even possible? Don't I need complicated equipment?" Answer: "No way. Here's why simplifying the whole process with The Easy Home Recording Blueprint Method is important - Not only for the quality of recordings songwriters are able to achieve, but also because being able to work quickly with a simple, fast recording setup and method also great increases creativity, and the ability to pursue and capture a musical or lyrical idea or inspiration immediately. Your goal as a songwriter or musician is to make great recordings - and lots of them. But, musicians and songwriters are burying themselves in expensive and complex recording equipment in the hopes that it will somehow allow them to get the sound they want for their songs. Ironically, all that equipment and the snake pit of cables they've created is all too often not helping them achieve their primary goal - which is to make great sounding records. A dead simple and affordable setup, plus your own computer with your favorite recording software (even free recording software like Garageband etc) is possible because The Blueprint focuses on showing you exactly how to "capture" sound so beautifully and effectively, that we simply don't need complicated recording software and tons of studio toys to get clear, room-filling pro sound. You see, The Easy Home Recording Blueprint focuses on a specific combination of steps that makes each sound you record healthy and huge. Then, by following this easy step by step method, it maintains pro-quality sound from the beginning of your session all the way through to your completed mix. Question: "Will The Easy Home Recording Blueprint Method and all the Blueprint bonuses work for any style of music and recording?" Answer: "Absolutely! I write, record and release all styles of music and I rely on the Blueprint method for EVERY style and genre." Question: "Why did you decide to share your recording method?" Answer: "I think for me, the reason I find it so rewarding to have shared my Easy Home Recording Method with more people is hearing from them about how The Blueprint is enabling them to finally record their songs and music the way they have wanted to hear them for so long. And they are so relieved and... surprised! that recording is exciting and enjoyable like it should be. This means that The Blueprint is allowing more music to be created, recorded and heard. I'm pretty proud of that. For people who are still deciding, I would just say, "let's get started and record some great music. There's no reason to wait or buy unnecessary equipment. Get those songs recorded right away!" "The Blueprint method shows how to record pro quality sound at home so simply, and so affordably, that the next big hit may well come from someone's home computer"